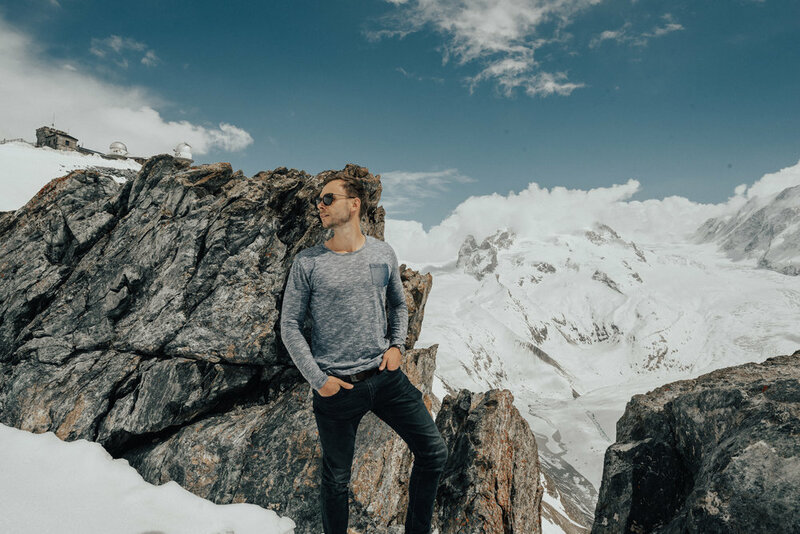 People hail from all over the world to soak in all that is Swiss culture and some of the earths most mind-blowing peaks. Famous for the dark wood Swiss Chalet's, overflowing flower baskets, green lush meadows, and sheer mountainsides, Zermatt is easily one of the most beautiful places on earth. It's a haven for snow sport fanatics, avid hikers, adrenaline junkies, and photographer lovers. As if Zermatt isn't special enough, it is proudly a car-less village. That's right... no cars! The town is incredibly walkable though and it makes for a more relaxing place to hear the water flow down the river, the fawns grazing in the meadows, and the birds singing. Take the Gornergrat Bahn up for epic views of the legendary Matterhorn. From here you have restaurants, hiking trains, and views for as far as the eye can see. From here you have a panoramic view of 29 peaks where some stand higher than 4,000 meters high. Visit "Hinterdorf"- the oldest part of Zermatt where you'll find 30 something ancient barns, stables, houses, and stores. They were preserved for over 500 years and are still standing on flat stone slabs that are balanced on stilts. The adorable old buildings have doors that you would have to crouch to walk through. Hike to Zmutt, where you can have a picnic alongside a 500 year old hamlet. The hike takes about an hour up, with the Matterhorn standing tall in the foreground. There are several different routes- some easier, and others for more experiences hikers. Eat fondue in a traditional cozy restaurant. We really enjoyed eating at Hotel Pollux, where we ordered fondue (with white wine, not red- we learned that's the traditional way,) and baked spätzli. Hike up behind the village for twilight! We did this two out of our three nights because there is nothing I love more than watching a towns lights come on right after sunset. We took some beer and popcorn and waited for the magic to happen. If you're super brave (which I'm not)- go on a helicopter ride above the alps or paragliding! We saw tons of paragliders soaring over the town and I couldn't even imagine how wonderful those views would be. Year-round skiing at Matterhorn Glacier Paradise. You can find snow 365 days a year. From here you can even see as far as the Italian Alps and on a clear day even the Mediterranean Sea! We stayed at the lovely Schlosshotel Zermatt and couldn't dream of a better place to spend our time. The hotel is a 2 minute walk from the main train station and also right in front of the Gornergrat Bahn train station. The hotel has a castle-like flair mixed with traditional Swiss chalet yet fully equipped with modern and luxurious amenities. 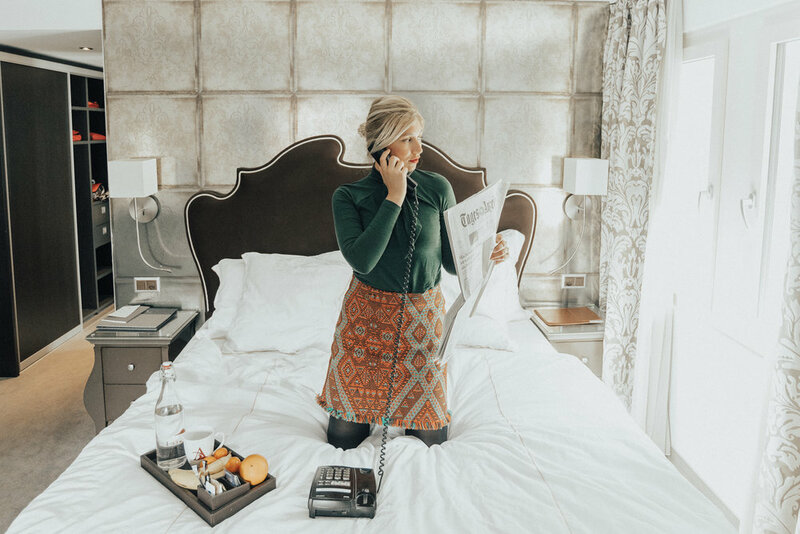 With spacious rooms, wonderful views of the town or Matterhorn, along with lavished fabrics and details- you'll find yourself comfortable enough to not want to leave. Although the hotel is in the heart of the city, you still feel a bit more remote and easily able to relax. The hotel has a contemporary gym along with a Olympic-style lap pool which I found myself swimming in first thing in the morning. Although I'm typically not a morning person there is something energizing about the town, making you want to rise early and get moving. I also loved the wellness center where you can unwind in the sauna or steam room, bask under rainforest showers, or loosen up with a massage from an in house specialist. They have plenty of varied room options along with a penthouse suite with the Matterhorn out of your window. The hotel is a wonderful choice for everyone- whether you are a solo traveler, a family, on a honeymoon getaway, or celebrating a special weekend with friends. Breakfast was also one for the books- an epic traditional style breakfast buffet is offered where you can chow down on everything from mini donuts, local meats, home made baked beans (my favorite,) local cheeses, hardy breads, fresh fruits, and anything else you could dream of. The perfect start to a day on the mountain.